The Autumn 2018 budget contained a number of employment tax changes that businesses and contractors need to be aware of, not least the tightening up of IR35 rules in connection with off-payroll workers as well as the contribution reduction for apprenticeships by smaller businesses. Changes in the rules had been introduced for the public sector and it was generally anticipated that these would roll over to private companies and the contractors working for them. The announcement that this is due to take effect by 2020, therefore, wasn’t too much of a surprise. There are a large number of contractors providing services for public and private businesses. The question of who is deemed an employee and who is self-employed has been debated a lot in recent times. This is seen by many as an effort to gain more revenue by reclassifying some self-employed contractors as employed because of the way they work for the company that has hired them. On the other side of the coin, the Government sees this as an area where companies are reducing their tax liability by incorrectly deeming a contractor as self-employed. You are deemed to be employed if the way that you work is the same as that of an employee of that business. If this is the case, then you will be subject to income tax and National Insurance at the 12% rate. Contractors in many personal service companies or PSCs have been paying less because of their perceived self-employed status. One grey area seems to be who this applies to. The Chancellor stated it would be focused on medium and large businesses without really setting out any defined parameters. The rule change could mean more administrative burden upon companies that use PSCs as they will have to put in place PAYE for payments made, including NI contributions. One thing to note: If you suddenly find that your PSC status is subject to IR35 rules, it doesn’t necessarily mean you are going to be subject to an investigation for work done in previous years, even if you should have paid tax as an employee. If you have a termination payment in excess of the £30,000 limit you are liable to pay some tax currently. There have been plans to include National Insurance payments for a few years. Already delayed once, the Chancellor announced that this was again being put back, this time to 2020. Important for encouraging businesses to take on and train new apprentices, financial assistance has previously been 90% funded by the Government with a 10% contribution from businesses themselves. This has now been reduced to 5% for small companies with a payroll of less than £3 million for the year. This is currently set at £3,000 against Employer National Insurance Contributions (NICs). From 2020, there is going to be a restriction for businesses and charities with the allowance available only to those organisations that have a NI bill below £100,000. According to the Government’s figures, this still means that 93% of businesses will still be eligible for the allowance. 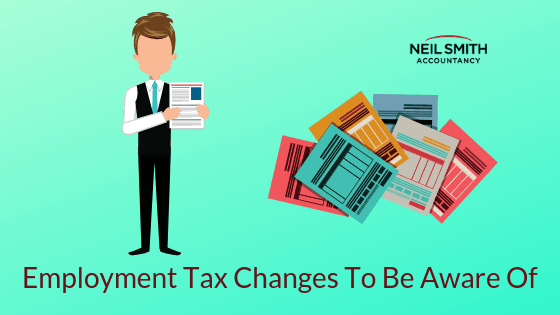 Not only are there changes to employment tax coming up, but pension contributions are due to rise in April this year as well, and Making Tax Digital is being put into action since being postponed some time back. For all of your business finance needs, get in touch with Neil Smith Accountancy for a free consultation. 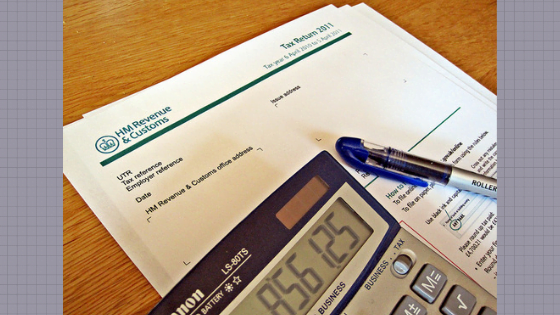 We can offer business start up advice, tax tips, payroll and accounting services and more.